The magnifying glass effect always fascinated me although the game lacks long-term attraction as it is a bit hit-and-miss whether a bug follows you up a dead end, leaving you helpless. Tough, as there's only on life. 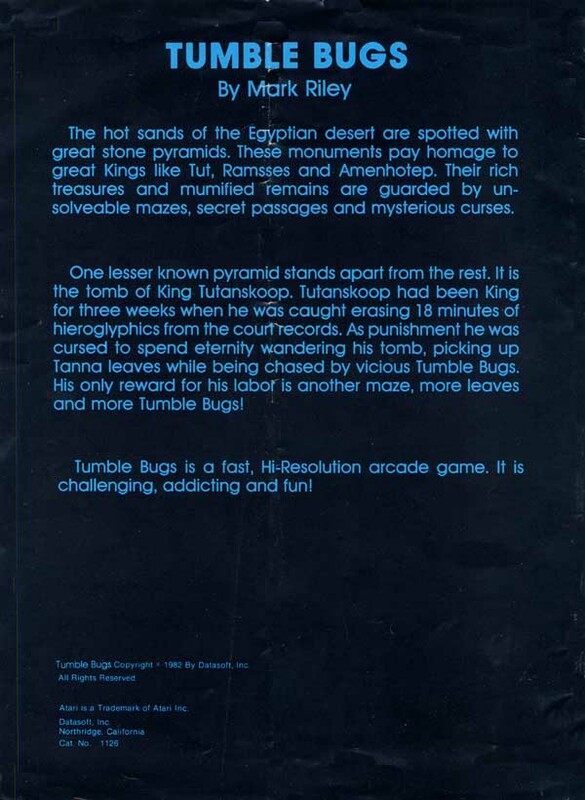 This was also released on the Tandy Color Computer series as "Mega Bug". 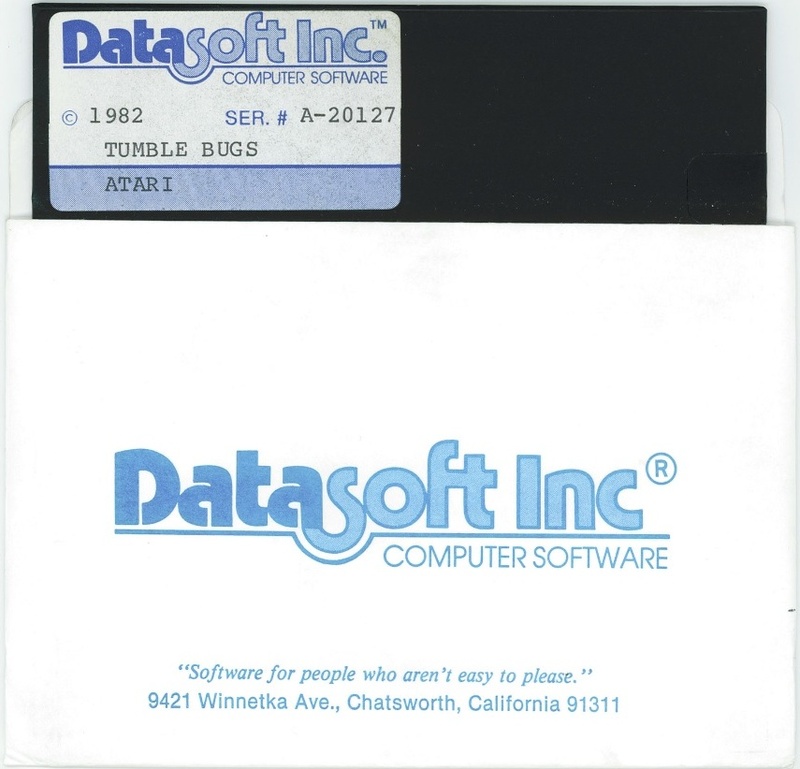 Originally entitled Dung Beetles, Tumble Bugs has been released for the two most popular gaming microcomputers by a company heretofore most famous as a publisher of adventure games. 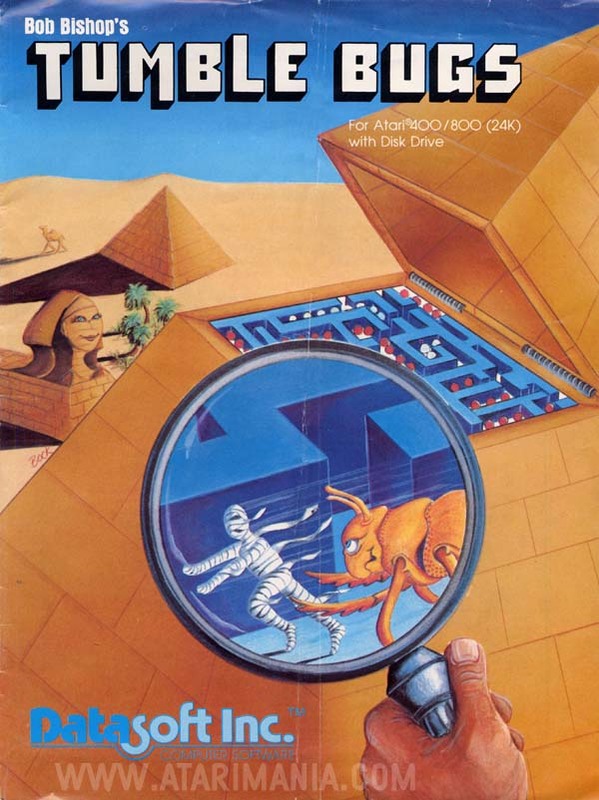 It is a maze game that embodies something of the flavor of Pac-Man, but it also possesses an interesting twist.